From modest second homes and rental investments, to luxury villas and private islands, The Bahamas has been a home away from home for high-net-worth individuals for decades. Add together the prospect of residency in a low-tax jurisdiction, great weather and excellent living standards and you have the full complement of lifestyle and investment benefits. US citizens have been the major clients for Bahamian realtors, with American millionaires flocking to these shores since the heady days of fame and glamour of the 1960s to the era of Wall Street hedge fund kingpins and Silicon Valley dotcom entrepreneurs of the ’80s and ’90s. But with the rise of the global economy, investors in emerging markets such as China and Latin America, as well as in Europe and Russia, are also looking to diversify their portfolios with property, presenting even more opportunities for realtors in The Bahamas. 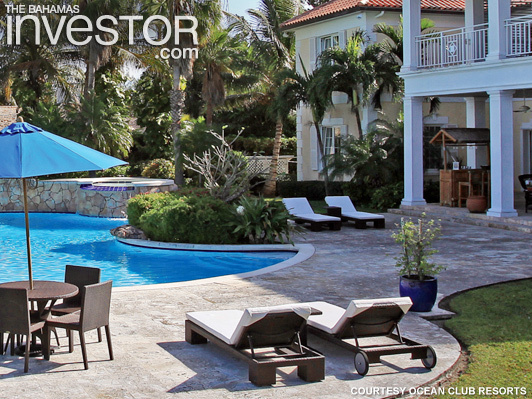 According to Cara Christie, director and broker at H G Christie Ltd in Nassau, high-end condos and private islands are selling well again after the recent prolonged recession, with the majority of buyers being foreign investors. “We are coming out of the bottom of the curve, and there is quite a lot of interest in the second-home market,” she says. “The potential is there and there is a lot of interest for boutique resorts; persons wanting to buy property that they can rent out and get a good return on investment and they want to be able to use it also,” adds Mario Carey, president and chief executive officer of Mario Carey Realty (MCR). For H G Christie, the emphasis so far has been on the Latin American market. “I speak Portuguese, so we have been building contacts there and have a lot of word-of-mouth connections in Brazil,” says Christie. “We are working on increasing marketing in that region, but the Chinese market is also interesting, because it is poised for growth. Even if you speak the same language, there are a number of challenges involved in relocating to a new home overseas. On top of house hunting and shipping furniture and possessions, there are also legal issues, permits and visas to consider. Softer factors such as cultural differences and establishing a new professional and social life also have to be taken into account. To make this transition easier, there is a growing number of companies that are offering a complete “concierge” service that helps people sell their property at home, find a property and start new lives in The Bahamas.